Lennar recently broke ground on a new community in Royal Palm Beach with a unique feature: every one of the 385 homes will feature Alexa by Amazon voice control, marking the first-of-its-kind partnership between Amazon and a homebuilder. Residents also are ensured they’ll never have wi-fi troubles in the gated lakefront community, according to the Palm Beach Post. The homes, which are now on sale, start at around $400,000 and range from 1,985 to 3,597 square feet. A Miami Beach estate once owned by Iván “Pudge” Rodríguez, Baseball Hall of Famer and 13-time Golden Glove award-winner, is currently back on the market for $22.5 million. The home sits on a 1.1-acre lot and has 175 feet of waterfront access to Indian Creek. Howard Marcus with Douglas Elliman sold the property to the family in 2016 and will be the listing agent for the property. Florida East Coast Industries recently completed 3 MiamiCentral, the first building in the mixed-used project near the Brightline passenger rail station in downtown Miami. According to the South Florida Business Journal, 3 MiamiCentral is a short walk away from the train station, which transports passengers between Fort Lauderdale and West Palm Beach and is schedule to become operational within Miami later this year. 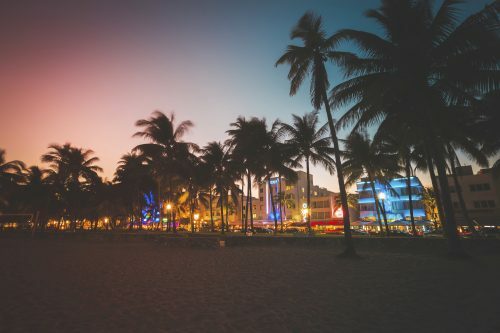 Colombians were the dominant web-searchers for south Florida homes, making up 10.5 percent of all international searchers, followed by Venezuelans at 8.1 percent and Argentinians at 7.1 percent, according to the Miami Association of Realtors.